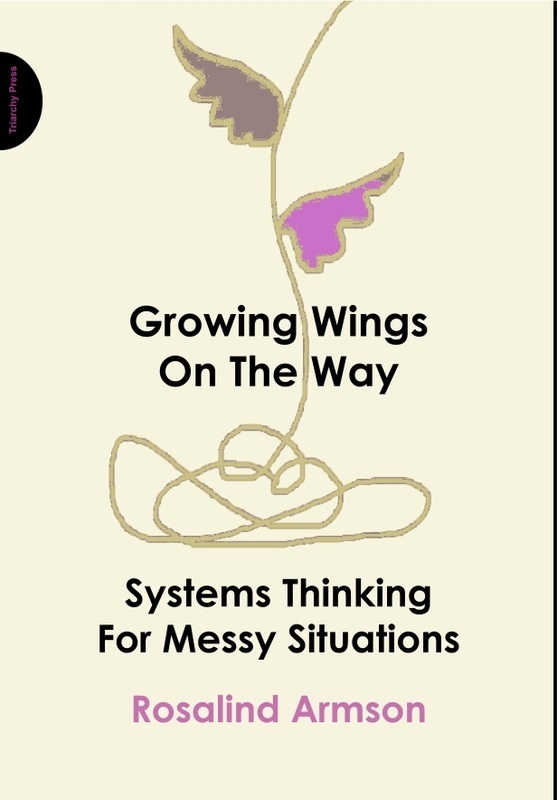 Rosalind Armson is a systems practitioner, scholar and teacher, having worked for many years as Senior Lecturer in Systems at the Open University in Milton Keynes (UK). She has extensive experience of using systems ideas to support individuals and organisations facing complex and uncertain situations. She also supports students and others in learning Systems Thinking. Rose started her career as an engineer working in the power-plant construction industry. Her increasing concerns about nuclear-power policy led her to research energy policy at the Open University. She completed a PhD modelling the outcomes for various energy supply scenarios. She taught Engineering before moving to the Open University Systems Group. Rose and her colleagues designed and delivered Systems Thinking courses to thousands of Open University students. Her big motivation in teaching is students’ excitement when they ‘get it’ and are able to see the world in a richer way. She has a long-standing interest in how our thinking both enables and limits the opportunities we can see and take. She has worked with individuals, organisations and institutions seeking to survive and thrive in a world that presents enormous challenges. She is an independent consultant using her systems-thinking skills to enable others to work out what to do and how to do it. This has brought her into contact with development agencies, banks, governments, businesses, health-care practitioners, the voluntary sector, ethical monitoring agencies, energy providers and many others facing radical change. She aims to ‘leave the skills behind’ at the end of each consultancy engagement by building managers’ systems-thinking capability. Rose has delivered systems-thinking workshops in the USA, Canada, Australia, New Zealand, UAE, and South Africa and in Europe. In her workshops, she draws on ideas, stories, images and her own extensive experience as a systems practitioner to provide lively and challenging learning experiences. Many of the ideas draw on the world-leading work of the UK Open University Systems Group. Rosalind Armson introduces systems: what are they and what are their properties? Then she writes about 'Snappy Systems’ - a way of breaking out of taken-for-granted understandings of what something is or does. Click to download the pdf.